Now it came about, when men began to multiply on the face of the land, and daughters were born to them, That the sons of God saw the daughters of men that they were fair; and they took them wives of all which they chose. What the Bible here is giving account of, is the fact that there were two kinds of people living on earth. The generation of Cain called “men” and also called the thorns and thistles of the world. And then there of cause is the generation of Adam. And this generation of Adam is the ones called the sons of God. They were the sons of Adam, son of God. The sons of God were not allowed to mingle themselves with the gentile generation of Cain, also called the daughters of man, in the Bible. These marriages are the reason why Jesus is talking about their marriages, and their evilness of eating and drinking. Eating and drinking things sacrificed to idols. They were without excuse. They were warned against their evil doings by the 7th messenger. Enoch the 7th messenger from Adam, warned the world at his time and spoke of death coming to all flesh, but he himself should not see the death messenger Noah, in action, wiping out the whole population of the world. Enoch died before Noah, the death messenger was born and therefore, he did not “see” death. Repent from evil before it is too late, was the message they heard, but they, the sons of God, the sons of Adam, kept on with their evilness of mingling themselves in marriages with the daughters of the generation of Cain, the daughters of men. This genetic mingling of good and evil flesh, created a third kind of human beings on earth, genetic giants, born of flesh and blood like you and me. They were not sons of angels but they were the sons of both of these two generations, living on earth. They were sons of the good generation of Adam and of the evil generation of Cain, the thorns, that God was allowing to grow on earth in the beginning, But God was against this mingling between them. The children, born of the daughters of Cain, when mingled with the generation of Adam, were giants with 6 fingers also called nephilims. The beginning of the generation of the gentiles. 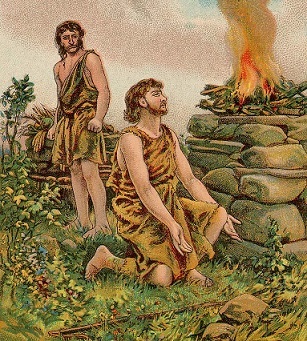 Cain was the first gentile of the world. A gentile is a person not looked after by God. If God is not looking after you, then you are a gentile no matter who your mother is. Even if her name was Eve you might still become a gentile, if your father is not of that good one, Adam. Ye have heard that it is said; if your mother is a Jew, then you are a Jew also. But I say unto you, even being born of the 7th day woman, Eve, was not enough to make Cain a son of God in the flesh. 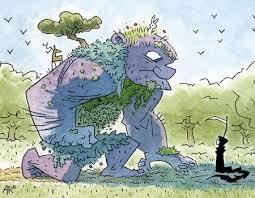 The meaning of the word gentile is “a heden field” “a field not looked after, growing wild” God did not look after the meat offering of the life of Cain, and by that statement in the Bible, we now know who is the first man to be called a gentile in this world. 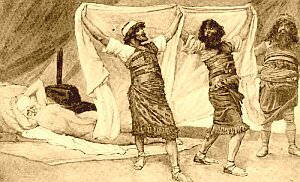 Cain was that first gentile. Ye have heard that it hath been said that the sons of God were angels, “partaking in flesh and blood” and then mingling themselves sexual with human beings, and this is the reason why the nephilims were born. But I say unto you that the only reason for the giants to be born at the days of Noah, and also later, is because of the sons of Adam, called sons of God in the Bible, mingled themselves sexual with the daughters of the gentile generation of Cain. The reason why the Bible is saying “and also later” is because they, the nephelims, were ALL wiped out by the flood. There were no one left. The world was cleansed from the toil of the curse of thorns growing in numbers in the world. The evil killing thorns and thistles, the generation of Cain were wiped out of existence by the man with the name of that same meaning, Noah. His name is the prophetic meaning of his work to cleanse the world from the toil of the curse of thorns growing on earth. Yet another wordplay in the Bible, Noah. The answer to this question, why nephilims reappear also later, is found inside of the ark of Noe. Ham, who was by generation a son of God, took himself a wife amongst the gentiles. 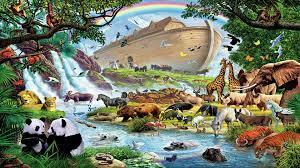 The wife of Ham is the only one, with the genes of the gentiles, entering into the ark of Noah. Seven holy human beings and one unholy. Eight souls saved. Counting the human beings in the ark is now coming to the likeness of what was demanded to be, with the beasts. 7 of the holy human beings and one of the unholy human beings were saved. In all 8 souls saved through water. This is what the holy Bible is giving account of. Noah is the first “son of God” counted in the ark. The three sons of Noah were sons of God. The wife of Noah have to have been of the generation of Adam. Otherwise Noah would not have been called righteous in his generation, in the sight of God. 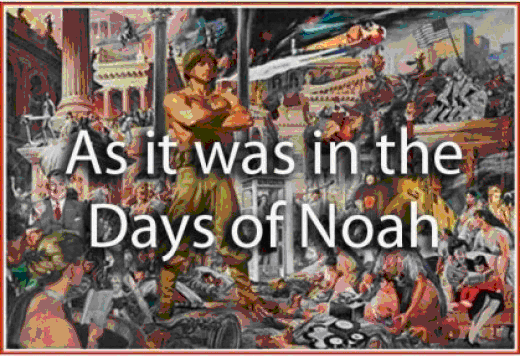 God was not against Noah in any part of his life. The wife of Noah was a “daughter of God.” She was one of the daughters of God, righteous. Born in the righteous seed line of Adam. That makes it 1 holy Noah, 2 the wife of Noah. 3, 4 and 5. Sem, Ham, and Japhet being sons of Noah. 6 and 7, the wives of Shem and Japhet. All these 7 were holy by birth. They were the Sons and daughters of God through Adam their forefather. And then we have number 8, the wife of Ham. She was also there, and she was of the generation of Cain being unholy by birth. She was a daughter of man. She was a gentile daughter called a daughter of man. The reason why the generation of Cain is called “sons of men” is because they did not have their origins in the son of God, Adam, the image of God. But they only had their origins in Eve, who was created in the image of man, and their origins in the serpent, the seed of the serpent. But being born of the woman thou, did give them the statue of being men, because of Eve the image of “man”. These men are also called the man with the number 6 of the beast, which is the number of the 6th day creature, the serpent. This 6th day man is the one, who was destroyed throughout the ages, but always did reappear in the sea of man. They are the mystery of iniquity. Their nature is inherited from their forefather, the serpent, who was created on the 6th day. They were not like Adam and his seed, who was created on the 6th day, but they were finished through death and resurrection, into the 7th day of rest. Seven, the number of the sons of God, sons of Adam. Eve was created out of the rib side of Adam, when Adam died away from the 6th day with his bones broken. She was therefore created in the image of man, on the 7th day, by resurrection from the deep sleep. Adam was raised from his deep sleep of death into the 7th day of rest, with the crown of his life, the wife by his side. 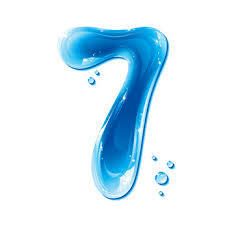 The “sons of God” are the ones with the number 7. They were with him, in the loins of Adam, when Adam was finished through death, away from the 6th day, by his deep sleep, and then resurrected from death into the 7th day. They were all there in the loins of Adam, with Adam, when he, Adam, was awakened from his deep sleep in Genesis 2:2. God finished his work on the 7th day. What was there to be finished on the 7th day but to do well on the Sabbath? 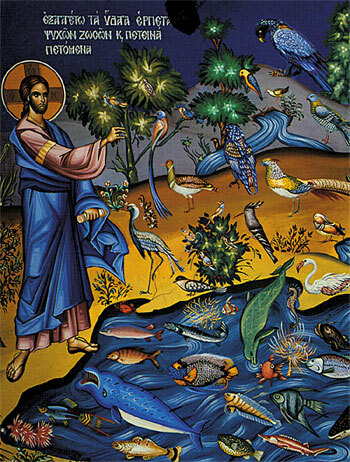 Giving life abundantly to Adam, and making him king of all in heaven, on earth and what is living in the sea! In other words: The sin of the age of Noah was even committed by one of the sons of God, Ham, who entered the ark. Ham was guilty of doing this marriage sin and taking this sinful mingled relationship with him to the new cleansed world. The new cleansed world was cleansed from thorns and thistles, but not for long. Ham was the reason for thorns and thistles to reappear in the new world. The 6th day man reappeared in the sea of man. And the reason why is found in these secrets that you have been reading so far. This is also what the thorn in the flesh of Paul was all about. Back to the son of God, Ham, doing evil. And what did the other two sons of Noah do? They “covered” their fathers nakedness Genesis 9:23 In other words they covered the nakedness of their mother, who Ham had been laying with, when she was drunk, together with Noah. Anyone who lies with his fathers wife has uncovered his “fathers” nakedness. In direct words: They were covering up their mother, not their father. She was naked and they did not lay with her, know her. They did not see their fathers nakedness but Ham was cursed for doing so. Namely, five lords of the Philistines, and all the Canaanites, and the Sidonians, and the Hivites that dwelt in mount Lebanon, from mountBaalhermon unto the entering in of Hamath. Here you have it all over again. They did marry and they gave their women away in marriage with the gentiles. And they partook of their gods offer food. This is the same old story repeating itself. 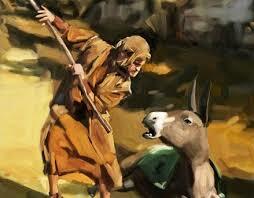 The evil sin of mingling themselves with gentiles turned their God against them. Let me give you yet another example of the evilness of eating, drinking, marrying and giving in marriage, so that you can be convinced that what “is said nowadays” about “doing their usual stuff”, eating drinking marrying and giving in marriage, is not at all what the doctrine of Jesus is all about regarding the days of Noah. But I have a few complaints against you. You tolerate some among you whose teaching is like that of Balaam, who showed Balak how to trip up the people of Israel. He taught them to sin by eating food offered to idols and by committing sexual sin. As you can see what Jesus in fact is talking about in the gospel of Luke 17 is in fact the evilness of Balaam also playing out in the old age of Noah. Eating the offerings of a life that God is against and committing sexual mingled marriages which the sons of God were not allowed to do. This expression “sons of God” is the expression of the good generation of God before Abraham became the “father” of the believers. After Abraham, the good seed is known under the name, Israel. Let me just point out that God does not care today if you, being a Jew, are mingling yourselves with the gentiles or vice versa. The age of Israel after the flesh is over. It is finished. We are in the new spiritual age of Jesus Christ, giving birth to children, not even born of woman. The much greater sons of God are here. The sons of Christ Jesus, the second Adam, are here. We are born of God. We are born again. We are new creations in the seed line of Christ. We are Gods children and he is not ashamed of calling us his children. Today we are the sons of God who are not allowed to mingle ourselves with evil. The war about the dusty land of Israel is over. Having annulled the enmity in his flesh, the law of commandments in ordinances, that he might form the two in himself into one new man, making peace. He put the enmity there, and he annulled it in his time. He made one new spiritual man out of these two. For of the sons of God and the hostile “man”, the gentiles, he has made all things new. We are all unified in one new body, in Christ Jesus. Are you still fighting the fight of the flesh or are you a new creature IN Christ? That is what matters today, Not the land of Israel. Not even the law. He has even nullified the law and given us a new commandment, easy to bear, being born of the nature of God. Love each other, that is our new commandment, fulfilling the law.